Afer her Grand Diplôme in 1975, Alice Hart became the first person to give French cuisine and pastry class to Hollywood, Beverly Hills and Los Angeles celebrities. With more than 40 years of experience, Alice Hart is now one of the ten most recognized food stylist in the world. When did you graduate from Le Cordon Bleu? 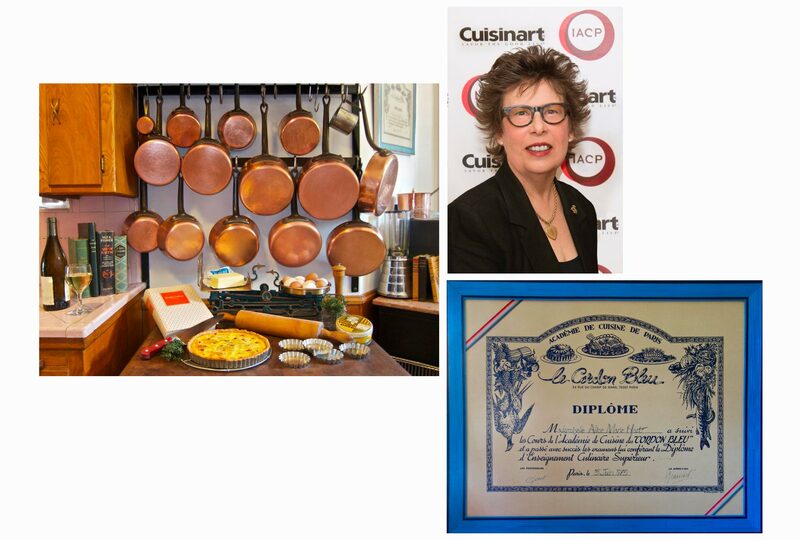 I graduated from Le Cordon Bleu with my Grand Diplôme (Cuisine et Pâtisserie) in Paris on June 15, 1975. What did you do after graduating from Le Cordon Bleu? After graduating I returned to Los Angeles, where I was hired by Lawry’s Foods here in Los Angeles to create convenience foods for Europe (France, Germany, Switzerland, Spain and UK) and also for Australia. I was hired as an International Research and Development Chef-Economist. I was also one of the first to teach French Cuisine and Pastry cooking classes to the “Elite” of Hollywood, Beverly Hills and Los Angeles before there were “celebrity chefs”. I apprenticed with the best food advertising artists to learn the techniques and art of Food Styling for food advertising, packaging, cookbook and restaurant menu photography. I am now rated in the top ten world recognized Food Stylists, (still working full time) with 4 decades of experience! I have to thank Le Cordon Bleu, Paris for my fantastic culinary education! What did Le Cordon Bleu bring to you in your career? The classical French techniques I received at Le Cordon Bleu taught me to problem solve a recipe or situation in the kitchen and to always visually design an appetizing dish. I always said that “We first Eat with our Eyes”. Did you do an internship after graduating from Le Cordon Bleu? After graduating from LCB, Paris in 1975 I was hired immediately because at that time not many Americans graduated or completed the entire series of courses there in Paris. I was an immediate celebrity! What did you prefer at school? I preferred the praticals especially when the chef would say “it’s no good, throw it in the trash and we would start again”. We perfected the simple techniques before moving on. No machines, fancy tools or calibrated ovens. We relied on our inner talent, our 5 senses, speaking French, the metric system and having the passion to achieve perfection. Why would you recommend Le Cordon Bleu? I would always recommend LCB because of the quality education I received. I am highly respected by Michelin Starred French Chefs, such as Joel Robuchon, Claude Le Tohic, Alain Ducasse, and Thomas Keller as a world class food stylist as a result of the stellar training I received at Le Cordon Bleu Paris. What techniques did you learn? I learned all the classic French techniques in cuisine and pastry, all by hand. We had no mixers, robot coupe, immersion blenders or fancy molecular gastronomy tricks.